Schmale, J., Henning, S., Decesari, S., Henzing, B., Keskinen, H., Sellegri, K., Ovadnevaite, J., Pöhlker, M. L., Brito, J., Bougiatioti, A., Kristensson, A., Kalivitis, N., Stavroulas, I., Carbone, S., Jefferson, A., Park, M., Schlag, P., Iwamoto, Y., Aalto, P., Äijälä, M., Bukowiecki, N., Ehn, M., Frank, G., Fröhlich, R., Frumau, A., Herrmann, E., Herrmann, H., Holzinger, R., Kos, G., Kulmala, M., Mihalopoulos, N., Nenes, A., O'Dowd, C., Petäjä, T., Picard, D., Pöhlker, C., Pöschl, U., Poulain, L., Prévôt, A. S. H., Swietlicki, E., Andreae, M. O., Artaxo, P., Wiedensohler, A., Ogren, J., Matsuki, A., Yum, S. S., Stratmann, F., Baltensperger, U., and Gysel, M. (2018): Long-term cloud condensation nuclei number concentration, particle number size distribution and chemical composition measurements at regionally representative observatories, Atmos. Chem. Phys., 18, 2853-2881. Iwata, A. and A. Matsuki (2018): Characterization of individual ice residual particles by the single droplet freezing method: a case study in the Asian dust outflow region, Atmos. Chem. Phys., 18, 1785-1804. Mingfu Cai, Haobo Tan, Chak K. Chan, Michihiro Mochida, Shiro Hatakeyama, Yutaka Kondo, Misha I. Schurman, Hanbing Xu, Fei Li, Kojiro Shimada, Liu Li, Yange Deng, Hikari Yai, Atsushi Matsuki, Yiming Qin, and Jun Zhao (2017): Comparison of Aerosol Hygroscopcity, Volatility, and Chemical Composition between a Suburban Site in the Pearl River Delta Region and a Marine Site in Okinawa, Aerosol and Air Quality Research, 17(12), 3194-3208. Schmale, J., Henning, S., Henzing, B., Keskinen, H., Sellegri, K., Ovadnevaite, J., Bougiatioti, A., Kalivitis, N., Stavroulas, I., Jefferson, A., Park, M., Schlag, P., Kristensson, A., Iwamoto, Y., Pringle, K., Reddington, C., Aalto, P., Äijälä, M., Baltensperger, U., Bialek, J., Birmili, W., Bukowiecki, N., Ehn, M., Fjæraa, A. M., Fiebig, M., Frank, G., Fröhlich, R., Frumau, A., Furuya, M., Hammer, E., Heikkinen, L., Herrmann, E., Holzinger, R., Hyono, H., Kanakidou, M., Kiendler-Scharr, A., Kinouchi, K., Kos, G., Kulmala, M., Mihalopoulos, N., Motos, G., Nenes, A., O’Dowd, C., Paramonov, M., Petäjä, T., Picard, D., Poulain, L., Prévôt, A. S. H., Slowik, J., Sonntag, A., Swietlicki, E., Svenningsson, B., Tsurumaru, H., Wiedensohler, A., Wittbom, C., Ogren, J. A., Matsuki, A., Yum, S.-S., Myhre, C. L., Carslaw, K., Stratmann, F., and Gysel, M. (2017): Collocated observations of cloud condensation nuclei, particle size distributions, and chemical composition, Scientific Data, 4, 170003. Sadanaga, Y., R. Takaji, A. Ishiyama, K. Nakajima, A. Matsuki and H. Bandow (2016): Thermal dissociation cavity attenuated phase shift spectroscopy for continuous measurement of total peroxy and organic nitrates in the clean atmosphere, Review of Scientific Instruments, 87, 074102. Hara, K., T. Maki, M. Kakikawa, F. Kobayashi and A. Matsuki (2016): Effects of different temperature treatments on biological ice nuclei in snow samples, Atmospheric Environment, 140, 415-419. Kameda, T., E. Azumi, A. Fukushima, N. Tang, A. Matsuki, Y. Kamiya, A. Toriba and K. Hayakawa (2016): Mineral dust aerosols promote the formation of toxic nitropolycyclic aromatic compounds, Scientific Reports, 6, 24427. Iwamoto, Y., K. Kinouchi, K. Watanabe, N. Yamazaki and A. Matsuki (2016): Simultaneous Measurement of CCN Activity and Chemical Composition of Fine-Mode Aerosols at Noto Peninsula, Japan, in Autumn 2012, Aerosol and Air Quality Research, 16(9), 2107-2118. Ueda, S., T. Nakayama, F. Taketani, K. Adachi, A. Matsuki, Y. Iwamoto, Y. Sadanaga and Y. Matsumi (2016): Light absorption and morphological properties of soot-containing aerosols observed at an East Asian outflow site, Noto Peninsula, Japan, Atmospheric Chemistry and Physics, 16, 2525–2541. Hara, K., T. Maki, F. Kobayashi, M. Kakikawa, M. Wada and A. Matsuki (2016): Variations of ice nuclei concentration induced by rain and snowfall within a local forested site in Japan, Atmospheric Environment, 127, 1-5. Li, W.J., L. Shao, D. Zhang, C.-U. Ro, M. Hu, X. Bi, H. Geng, A. Matsuki, H. Niu and J. Chen (2015): A review of single aerosol particle studies in the atmosphere of East Asia: morphology, mixing state, source, and heterogeneous reactions, Journal of Cleaner Production, 112, 1330–1349. Maki, T., K. Hara, F. Kobayashi, Y. Kurosaki, M. Kakikawa, A. Matsuki, C. Bin, G. Shi, H. Hasegawa and Y. Iwasaka (2015): Vertical distribution of airborne bacterial communities in an Asian-dust downwind area, Noto Peninsula, Atmospheric Environment, 119, 282-293. Yamada, M., K. Nakamura, T. Kameda, F. Kobayashi, A. Matsuki, H. Tsuiki, S. Higaki, Y. Iwasaka and K. Hayakawa (2015): Function of Rayon Fibers with Metallophthalocyanine Derivatives: Potential of Low-Molecular Weight Polycyclic Aromatic Hydrocarbon Removal and Bacillus sp. Removal, Chemical and Pharmaceutical Bulletin, 63, 38–42. Matsuki, A. (2013): Application of Micro Raman Spectroscopy on Atmospheric Aerosol Research, Earozoru Kenkyu, 28(3), 208-213. Maki, T., M. Kakikawa, F. Kobayashi, M. Yamada, A. Matsuki, H. Hasegawa and Y. Iwasaka (2013): Assessment of composition and origin of airborne bacteria in the free troposphere over Japan, Atmospheric Environment, 74, 73-82. Atmospheric Chemistry and Physics, 12, 6437-6454. Fukuma, T., K Onishi, N. Kobayashi, A. Matsuki and H. Asakawa (2012): Atomic-resolution imaging in liquid by frequency modulation atomic force microscopy using small cantilevers with megahertz-order resonance frequencies, Nanotechnology, 23, 135706. Maki, T., K. Aoki, F. Kobayashi, M. Kakikawa, Y. Tobo, A. Matsuki, H. Hasegawa and Y. Iwasaka (2011): Characterization of halotolerant and oligotrophic bacterial communities in Asian desert dust (KOSA) bioaerosol accumulated in layers of snow on Mount Tateyama, Central Japan, Aerobiologia, 27, 277–290. Kobayashi, F., S. Morosawa, T. Maki, M. Kakikawa, M. Yamada, Y. Tobo, C.S. Hon, A. Matsuki, and Y. Iwasaka (2011): Atmospheric bioaerosol, Bacillus sp., at an altitude of 3,500m over the Noto Peninsula: Direct sampling via aircraft, Asian Journal of Atmospheric Environment, 5, 164-171. Reeves, C. E., P. Formenti, C. Afif, G. Ancellet, J.-L. Attié, J. Bechara, A. Borbon, F. Cairo, H. Coe, S. Crumeyrolle, F. Fierli, C. Flamant, L. Gomes, T. Hamburger, C. Jambert, K. S. Law, C. Mari, R. L. Jones, A. Matsuki, M. I. Mead, J. Methven, G. P. Mills, A. Minikin, J. G. Murphy, J. K. Nielsen, D. E. Oram, D. J. Parker, A. Richter, H. Schlager, A. Schwarzenboeck and V. Thouret (2010): Chemical and aerosol characterisation of the troposphere over West Africa during the monsoon period as part of AMMA, Atmospheric Chemistry and Physics, 10, 7575-7601. Iseki, S., Y. Sadanaga, A. Matsuki, Y. Iwasaka, K. Sato, N. Takenaka, H. Bandow (2011): Analyses of the concentration variations of ozone and carbon monoxide at Suzu, the Noto Peninsula, Journal of Japan Society for Atmospheric Environment, in press. Crumeyrolle, S., P. Tulet, L. Gomes, L. Garcia-Carreras, C. Flamant, D. J. Parker, A. Matsuki, P. Formenti, and A. Schwarzenboeck (2011): Transport of dust particles from the Bodele region to the monsoon layer - AMMA case study of the 9-14 June 2006 period, Atmospheric Chemistry and Physics, 11, 479-494. Tobo, Y., D. Zhang, A. Matsuki, and Y. Iwasaka (2010): Asian dust particles converted into aqueous droplets under remote marine atmospheric conditions, Proceedings of the National Academy of Sciences, Proc. Natl. Acad. Sci. U. S. A., 107(42), 17905-17910. Maki, T., S. Susuki, F. Kobayashi, M. Kakikawa, Y. Tobo, M. Yamada, T. Higashi, A. Matsuki, C.-S. Hong, H. Hasegawa, Y. Iwasaka (2010): Phylogenetic analysis of atmospheric halotolerant bacterial communities at high altitude in an Asian dust (KOSA) arrival region, Suzu City, Science of the Total Environment, 408, 4556-4562. Reeves, C. E., P. Formenti, C. Afif, G. Ancellet, J.-L. Attie, J. Bechara, A. Borbon, F. Cairo, H. Coe, S. Crumeyrolle, F. Fierli, C. Flamant, L. Gomes, T. Hamburger, C. Jambert, K. S. Law, C. Mari, R. L. Jones, A. Matsuki, M. I. Mead, J. Methven, G. P. Mills, A. Minikin, J. G. Murphy, J. K. Nielsen, D. E. Oram, D. J. Parker, A. Richter, H. Schlager, A. Schwarzenboeck, and V. Thouret (2010): Chemical and aerosol characterisation of the troposphere over West Africa during the monsoon period as part of AMMA, Atmospheric Chemistry and Physics, 10, 7575-7601. Matsuki, A., B. Quennehen, A. Schwarzenboeck, S. Crumeyrolle, H. Venzac, P. Laj and L. Gomes (2010): Temporal and vertical variations of aerosol physical and chemical properties over West Africa: AMMA aircraft campaign in summer 2006, Atmospheric Chemistry and Physics, 10, 8437-8451. Matsuki, A., A. Schwarzenboeck, H. Venzac, P. Laj, S. Crumeyrolle and L. Gomes (2010): Cloud processing of mineral dust: direct comparison of cloud residual and clear sky particles during AMMA aircraft campaign in summer 2006, Atmospheric Chemistry and Physics, 10, 1057-1069. Kobayashi, F., K. Kodaniguchi, M. Kakikawa, T. Maki, M. Yamada, Y. Tobo, C.-S. Hong, A. Matsuki, Y. Iwasaka (2010): Direct samplings and identifications of KOSA bioaerosols over deposit region and the research of effect on a plant ecosystem, Earozoru Kenkyu, 25, 23-28. Maki, T., F. Kobayashi, M. Kakikawa, S. Susuki, Y. Tobo, M. Yamada, A. Matsuki, C.-S. Hong, H. Hasegawa and Y. Iwasaka (2010): Phylogenetic analysis of halotolerant bacterial communities in Kosa bioaerosols, Earozoru Kenkyu, 25, 35-42. Maki, T., K. Aoki, S. Susuki, F. Kobayashi, M. Kakikawa, Y. Tobo, A. Matsuki, H. Hasegawa and Y. Iwasaka (2010): PCR-DGGE analysis of Asian dust (KOSA) bioaerosol recorded in snow cover at Mount Tateyama, Central Japan, Journal of Ecotechnology Research, 15[3-4], 97-101. Maki, T., S. Susuki, F. Kobayashi, M. Kakikawa, M. Yamada, T. Higashi, A. Matsuki, C.-S. Hong, Y. Tobo, H. Hasegawa, K. Ueda and Y. Iwasaka (2009): Phylogenetic diversity and vertical distribution of a halobacterial community in the atmosphere of an Asian dust (KOSA) arrival region, Suzu City, Journal of Ecotechnology Research, 14(4), 255-259. Gayet, J.-F., R. Treffeisen, A. Helbig, J. Bareiss, A Matsuki, A. Herber and A. Schwarzenboeck (2009): On the onset of the ice phase in boundary layer Arctic clouds, Journal of Geophysical Research, 114(D19201). 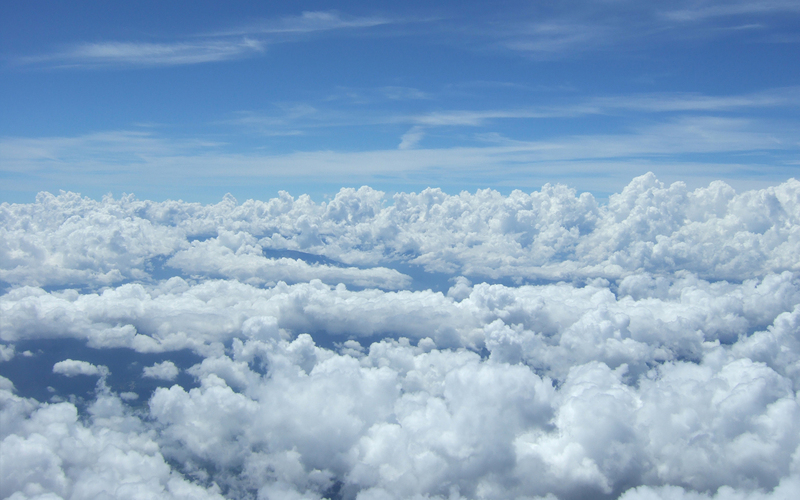 Crumeyrolle, S., L. Gomes, P. Tulet, A. Matsuki, A. Schwarzenboeck and K. Crahan (2008): Increase of the aerosol hygroscopicity by cloud processing in a mesoscale convective system: a case study from the AMMA campaign, Atmospheric Chemistry and Physics, 8, 6907-6924. Kojima, T., P. R. Buseck, Y. Iwasaka, A. Matsuki and D. Trochkine (2006): Sulfate-coated dust particles in the free troposphere over Japan, Atmospheric Research, 82, 698-708. Mikami, M., G.-Y. Shi, I. Uno, S. Yabuki, Y. Iwasaka, M. Yasui, T. Aoki, T.Y. Tanaka, Y. Kurosaki, K. Masuda, A. Uchiyamaa, A. Matsuki, T. Sakai, T. Takemi, M. Nakawo, N. Seino, M. Ishizuka, S. Satake, K. Fujita, Y. Hara, K. Kai, S. Kanayama, M. Hayashi, M. Dun, Y. Kanai, Y. Yamada, X.Y. Zhang, Z. Shen, H. Zhou, O. Abe, T. Nagai, Y. Tsutsumi, M. Chiba and J. Suzuki (2006): Aeolian dust experiment on climate impact: An overview of Japan-China joint project ADEC, Global and Planetary Change, 52, 142-172. Zhang, D., Y. Iwasaka, A. Matsuki, K. Ueno and T. Matsuzaki (2006): Coarse and accumulation mode particles associated with Asian dust in southwestern Japan, Atmospheric Environment, 40, 1205-1215. Matsuki, A., Y. Iwasaka, G.-Y. Shi, D. Zhang, D. Trochkine, M. Yamada, Y.-S. Kim, B. Chen, T. Nagatani, T. Miyazawa, M. Nagatani and H. Nakata (2005): Morphological and chemical modification of mineral dust: observational insight into the heterogeneous uptake of acidic gases, Geophysical Research Letters, 32, L22806. Matsuki, A., Y. Iwasaka, G.-Y. Shi, H.-B. Chen, K. Osada, D. Zhang, M. Kido, Y. Inomata, Y.-S. Kim, D. Trochkine, C. Nishta, M. Yamada, T. Nagatani, M. Nagatani and H. Nakata (2005): Heterogeneous sulfate formation on the dust surface and its dependency on the mineralogy: Balloon-borne measurements in the surface atmosphere of Beijing, China, Water, Air, & Soil Pollution: Focus, 5, 101-132. Yamada, M., Y. Iwasaka, A. Matsuki, D. Trochkine, Y.-S. Kim, D. Zhang, T. Nagatani, G.-Y. Shi, M. Nagatani, H. Nakata, Z. Shen, B. Chen and G. Li (2005): Feature of Dust Particles in the Spring Free Troposphere over Dunhuang in Northwestern China: Electron Microscopic Experiments on Individual Particles Collected with a Balloon-borne Impactor, Water, Air, & Soil Pollution: Focus, 5, 231-250. Iwasaka, Y., G.-Y. Shi, Y. S. Kim, A. Matsuki, D. Trochkine, D. Zhang, M. Yamada, T. Nagatani, M. Nagatani, Z. Shen, T. Shibata and H. Nakata (2004): Pool of dust particles over the Asian continent: balloon-borne optical particle counter and ground-based LIDAR measurements at Dunhuang, China, Environmental Monitoring and Assessment, 92, 5-24. Kim, Y. S., Y. Iwasaka, G.-Y. Shi, T. Nagatani, T. Shibata, D. Trochkin, A. Matsuki, M. Yamada, B. Chen, D. Zhang, M. Nagatani and H. Nakata (2004): Dust particles in the free atmosphere over desert areas on the Asian continent: Measurements from summer 2001 to summer 2002 with balloon-borne optical particle counter and lidar, Dunhuang, China, Journal of Geophysical Research, 109(D19S26). Matsuki, A., Y. Iwasaka, K. Osada, K. Matsunaga, M. Kido, Y. Inomata, D. Trochkine, C. Nishita, T. Nezuka, T. Sakai, D. Zhang and S.A. Kwon (2003): Seasonal dependence of the long-range transport and vertical distribution of free tropospheric aerosols over east Asia: On the basis of aircraft and lidar measurements and isentropic trajectory analysis, Journal of Geophysical Research, 108(D23), 8663. Zhang, D., Y. Iwasaka, G.-Y. Shi, J. Zang, A. Matsuki and D. Trochkine (2003): Mixture state and size of Asian dust particles collected at southwestern Japan in spring 2000, Journal of Geophysical Research, 108(D24), 4760. Iwasaka, Y., T. Shibata, T. Nagatani, G.-Y. Shi, Y.-S. Kim, A. Matsuki, D. Trochkine, D. Zhang, M. Yamada, M. Nagatani, H. Nakata, Z. Shen, G. Li, B. Chen and K. Kawahira (2003): Large depolarization ratio of free tropospheric aerosols over Taklamakan desert revealed by lidar measurements: possible diffusion and transport of dust particles, Journal of Geophysical Research, 108(D23), 8652. Trochkine, D., Y. Iwasaka, A. Matsuki, M. Yamada, Y.-S. Kim, T. Nagatani, D. Zhang, G.-Y. Shi and Z. Shen (2003): Mineral aerosol particles, collected in Dunhuang, China from viewpoint of individual particle analysis and their comparison with chemically transformed particles collected over Japan, Journal of Geophysical Research, 108(D23), 8642. Iwasaka, Y., G.-Y. Shi, M. Yamada, A. Matsuki, D. Trochkine, Y.-S. Kim, D. Zhang, T. Nagatani, T. Shibata, M. Nagatani, H. Nakata, Z. Shen, G. Li and B. Chen (2003): Importance of dust particles in the free troposphere over the Taklamakan desert : electron microscopic experiments of particles collected with balloon-borne particle impactor at Dunhuang, China, Journal of Geophysical Research, 108(D23), 8644. Zhang, D., J. Zang, G.-Y. Shi, Y. Iwasaka, A. Matsuki and D. Trochkine (2003): Mixture state of individual Asian dust particles at a coastal site of Qingdao, China, Atmospheric Environment, 37, 3895-3901. Iwasaka, Y., G.-Y. Shi, Z. Shen, Y.-S. Kim, D. Trochkine, A. Matsuki, D. Zhang, T. Shibata, M. Nagatani and H. Nakata (2003): Nature of atmospheric aerosols over the desert areas in the Asian continent: chemical state and number concentration of particles measured at Dunhuang, China, Water, Air, & Soil Pollution: Focus, 3, 129-145. Kim, Y. S., Y. Iwasaka, G.-Y. Shi, Z. Shen, D. Trochkine, A. Matsuki, D. Zhang, T. Shibata, M. Nagatani and H. Nakata (2003): Features in Number Concentration-Size Distributions of Aerosols in the Free Atmosphere over the Desert Areas in the Asian Continent: Balloon-Borne Measurements at Dunhuang, China, Water, Air, & Soil Pollution: Focus, 3, 147-159. Trochkine, D., Y. Iwasaka, A. Matsuki, M. Yamada, Y.-S. Kim, D. Zhang, G.-Y. Shi, Z. Shen and G. Li (2003): Comparison of the chemical composition of mineral particles collected in Dunhuang, China and those collected in the free troposphere over Japan: Possible chemical modification during long-range transport, Water, Air, & Soil Pollution: Focus, 3, 161-172. Trochkine, D., Y. Iwasaka, A. Matsuki, D. Zhang and K. Osada (2002): Aircraft borne measurements of morphology, chemical elements, and number-size distributions of particles in the free troposphere in spring over Japan: Estimation of particle mass concentrations, Journal of Arid Land Studies, 11, 327-335. Iwasaka, Y., G.-Y. Shi, Z. Shen, Y.-S. Kim, D. Trochkine, A. Matsuki, D. Zhang, T. Shibata, M. Nagatani and H. Nakata (2002): Number concentration and size distribution of aerosols in the free atmosphere over the desert areas in the Asian continent: Balloon-borne measurements in summer and fall, 2001 at DunHuang, China, Journal of Arid Land Studies, 11, 347-353. Matsuki, A., Y. Iwasaka, D. Trochkine, D. Zhang, K. Osada and T. Sakai (2002): Horizontal mass flux of mineral dust over East Asia in the spring: Aircraft-borne measurements over Japan, Journal of Arid Land Studies, 11, 337-345. Copyright(C) KANAZAWA UNIVERSITY, Institute of Nature and Environmental Technology, Atsushi Matsuki All Rights Reserved.